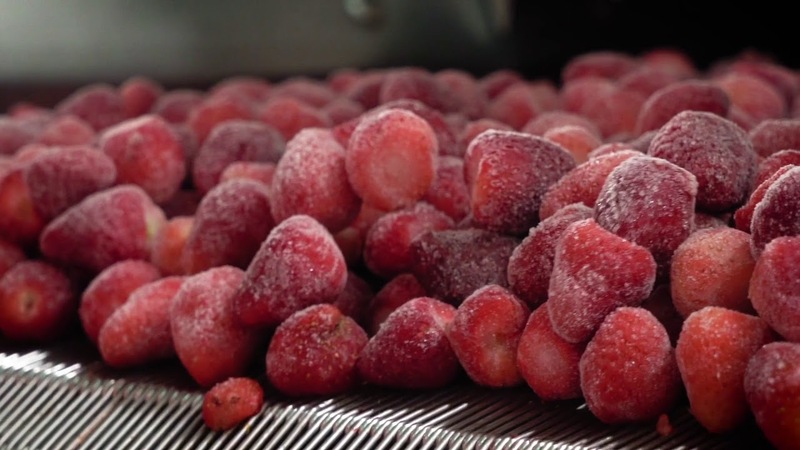 Paradiesfrucht GmbH is a young and dynamic freeze-dryer which was established in Salzwedel, Germany in 2004. With a focus on continuous improvement and investment in capabilities we have become a leading European supplier of freeze-dried fruits. We are committed to satisfying the most stringent quality and food safety standards and maintaining good manufacturing practices. The main applications for freeze-dried fruits in the food industry are breakfast cereals, tea, chocolate and sweets, ice cream and bakery products. Increasingly they are sold as a direct snack for health conscious consumers. We work exclusively with natural and high-quality raw materials, including organic products. We manufacture local, as well as exotic fruits, which can be delivered as cubes, dices and whole fruits, according to customer requirements. Our facilities and pilot plant are available for contract drying. We also offer expertise with goods such as fruits, vegetables, herbs and grains. CRUNCHY granulates from Paradise Fruits Freeze-Dried are made with a specially adapted freeze-drying process that combines fruit juice and puree to create unique flavours and textures. Smooth blends of yoghurt and fruit are used to create the unique CNUSPER texture. They can be made from 100% fruit or with combinations of different ingredients such as vegetables, yoghurt, milk and coffee. Freeze-dried fruits such as citrus and pineapple are available in their natural segmented shape. Incredible fruit integrity is possible with freeze-drying which shows fruits such as kiwi, banana and strawberries at their very best. Fruit pieces are very versatile and the range of sizes is extensive. Depending on your fruit selection options include whole or broken bits, and fruits with or without peel. 100% Fruit Powders from Paradise Fruits are made from ground freeze-dried fruits. They a natural way to add flavour, colour and a nutrient boost to a range of foods and beverages. They are also available in a range of sieve sizes. Smoothee Bites are a new and unique snacking shape made from 100% fruit or with combinations of different ingredients such as vegetables, yoghurt, milk and coffee. Talk to us about customised formulations and speciality ingredients.